WELCOME DANCERS IN THE MAKING!!! Welcome to Dance Academy: Ballet, HOL’s very first Dance Academy! I am Prof. Gustavo Flores from Ravenclaw House, and I am very thrilled and excited to teach this new class! Dance is one of the most beautiful means to express yourself! The moment in which your body coordinates with your mind and music is simply magical, and the best reward is the satisfaction to know that those months of hard work and rehearsals were worth it once you have the opportunity to perform in front of an audience. If you have experienced any of the feelings above, don’t think it twice! This class is for you! If you love dancing or are just curious to know more about this art, then this class is also for you! Who knows? Maybe you’ll become the star dancer that everyone is waiting for! Ballet set the basis of pretty much every kind of dance, and that is why it is very important. 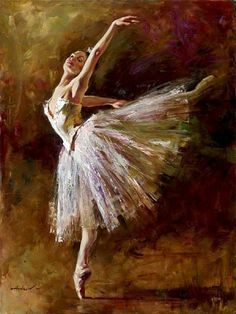 I’m not a professional ballet dancer, but I do practice contemporary and jazz, which involve technique, and the warm ups before starting choreography also involve a good amount of ballet exercises. Also, I enjoy and appreciate a good ballet performance, so in this class we’re going to learn a little bit of those as well! In Dance Academy: Ballet, you will learn some basic ballet terms, but also we will explore some of the most beloved and famous ballet stories. So what are you waiting for?! Come and join us in the Dance Studio! Has the class caught your interest? Please go ahead and visit the “About the Class” page for more information regarding this course. Hope to see many of you in class!